The naked middleweight motorcycle category has seen an explosion in recent years with amazing bikes coming out at a rapid pace. Picking the best of them is a tall order given the range and variety available but, in this blog, I've chosen what I think are the top 5 hottest middleweight naked bikes sitting in UK showrooms in 2018. So, what is a middleweight naked motorbike? Well if you're unsure - it is just what the name implies, a fairing-less bike that occupies the middle ground of the capacity spectrum - smaller than super nakeds like the Aprilia Tuono or BMW S 1000 R but larger and more formidable than A2 bikes like Yamaha's MT-03 or Honda's CB500F. 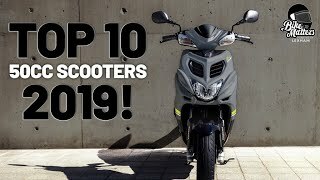 The list is in no particular order and even with a couple of honourable mentions included there are still a great many fantastic bikes outside of this list so let us know on social media what your favourites are. KTM made a big splash last year when they revealed their 790 Duke concept bike - 'The Scalpel', a bike that had everyone talking at motorcycle shows. Earlier this year the production model arrived in UK dealerships and instantly became a serious contender in the middleweight naked bike market. One of the things that's so great about naked bikes is their versatility, providing both a comfortable upright commute and a healthy dose of excitement when it’s time to have some fun. I think the KTM 790 Duke personifies this trait, providing a motorcycle that truly does it all. KTM's new 799cc LC8c parallel twin motor may look small (the 'c' stands for compact) but it boasts an impressive 105 hp (78 kW) power output, weighing only 169kg dry and with an equally impressive amount of torque, when it’s time to go, this thing goes. The KTM 790 Duke is priced at £8,499 and comes loaded with premium features including Motorcycle Traction Control (MTC), Motor Slip Regulation (MSR), 4 different ride modes, Quickshifter + with clutch-less up and downshifting, ABS and more. The new kid on the block and definitely one to watch. Yamaha's MT-09 was a game changer when it launched back in 2013 introducing the new breed of torquey hyper-naked that now dominates the class, delivering practicality with a large dose of fun, Yamaha had a hit on their hands. The MT range have been huge sellers ever since and that trend doesn't look to change any time soon with the latest edition to the line-up released earlier this year - the MT-09 SP. The SP comes in the unique 'Silver Blu Carbon' colour scheme reserved for Yamaha's special editions like the R1M and costs £9,199, an extra £800 over the standard MT-09. You get more than just a fancy paint job for that however (although it does look tasty), the SP also comes with fully adjustable front forks and remotely adjustable Öhlins rear suspension on top of the standard rider modes, ABS, traction control, quick-shifter and an 'Assist and Slipper' clutch. The MT-09 SP weighs in at only 193kg with a full tank of petrol, with its 847cc 3-cylinder engine producing 113bhp this is a serious machine with a lot of versatility. The rider modes can be used to reduce (or exaggerate) some of its aggressive power delivery but this is definitely a bike aimed at intermediate and experienced riders. So, if you're new to riding look elsewhere in the MT range, for everyone else this continues to be one of the hottest bikes on the market. Kawasaki had a big shake up of their naked range in 2017 with the venerable ER6n being replaced by the Z650 and the Z800 becoming a Z900. Despite a significant upgrade in the engine, the Z900 still occupies the same space in the market as its predecessor and Kawasaki have taken measures to make it more accessible than some of its fellow hooligans. For a start there's an A2 version available but even the standard version is slightly less aggressive than its rivals, both with its increased comfort and more moderate power delivery. Make no mistake the Z900's in-line four engine is the largest on this list at 948cc with a 125hp power output and delivers high level performance but again, it has a slightly smoother ride and a weight of 210 kg, which means it's not quite as teeth rattling as some of it's more aggressive rivals. Speaking of the weight, while still the heaviest in the list Kawasaki have managed to shave off a whopping 21 kilos from the previous Z800 version despite the increased performance, directly addressing one of that bikes key complaints. Another thing unique to the Z900, is its decision to forego the high-tech rider aids most modern bikes are piling on, with ABS and a slipper clutch being its only concessions, if your someone who thinks these modern gadgets are taking away some of the fun of riding then this could be right up your street. One thing the lack of gadgets does do however is keep the price very competitive at just £8,399 the Kawasaki Z900 is another solid naked bike in 2018. Another brand new model for 2018 Husqvarna surprised everyone with the Vitpilen 701. Perhaps the most unique bike in this list, the Vitpilen embraces both retro and innovative modern styling to create something fresh and different. Powered by a 692cc single-cylinder engine with a 75hp output the Vitpilen 701 is one of the most accessible bikes here too being a good option as a first 'big bike' while still having enough fun factor that experienced riders will have a good time as well. In fact Sean recently had the chance to test one of these out so take a look at our Husqvarna Vitpilen 701 road test blog. The only downside to this bike is the price at £8,899, it's one of the most expensive in this list despite being the smallest. The Vitpilen 701 is big on features at least with ABS (with the option to fully disengage), traction control, up and down easy shift, ride by wire, Brembo brakes and fully adjustable suspension. Husqvarna have already teased a Svartpilen 701 concept and if this first offering is any indicator I expect them to continue making waves in the naked bike category. Triumph's Street triple has been around for over a decade now and for a long time it was considered the undisputed king of the middleweight street bikes. That claim has met serious challenge in recent years from the likes of Yamaha's MT-09 but what is still undisputed is that the Street Triple is a seriously good bike. The Street Triple comes in 3 different flavours: The S, R and RS models, each offering something slightly different, be it a more budget price or sportier performance. The latest version and the one we're looking at here is the RS, unveiled last year as the ultimate premium version. 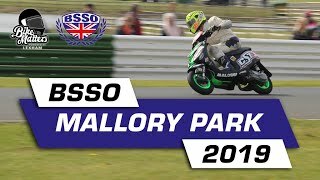 Priced at £10,200 it's the most expensive bike on the list, approaching superbike territory for a middleweight offering it does however boast a ton of refinement and upgraded features. A full colour 5" TFT instrument screen, five different rider modes, ABS with switchable traction control, ride by wire, full adjustable suspension with Showa forks and Öhlins shock and it's the only Street Triple model with a quick shifter. Like all the bikes in this list, the Street Triple is versatile with its upright street riding position, but the RS version is definitely geared a bit more towards performance - the fact it comes with Diablo Supercorsa tyres as standard - signals the intentions straight away. It uses Triumph's 765cc Triple engine and boasts the highest power to weight ratio in the class with 121 bhp output and only 166kg dry weight. 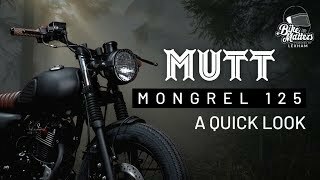 This was a hard list to put together just because of how many great bikes are in this category, in fact I would say it is perhaps the most competitive class of motorcycle there is right now, so I am going to include a couple of honourable mentions here, just to round out the list and give something for everyone. If a lighweight naked bikes is more your thing than we have a blog for that too! This one is a more budget friendly offering and also a little more accessible than some of the beasts in the main list. You get the aggressive power delivery and muscular styling the MT range is famed for but with a smaller 689cc 73.8 bhp engine and less features. All this results in a great price point of £6,349 and according to Yamaha one of their biggest selling models of all time. For me this is one of the most stunning looking bikes on the road and with formidable 109 bhp performance it also comes loaded with cutting edge features. The only reason this didn't make the main list is its steep price point of £13,890 which in my opinion makes it a bit more of a niche option. If you’re looking for a serious bike that's oozing with Italian style and you're not limited to a budget – then this is the one for you.